Stand Up To Cancer (SU2C), a program of the Entertainment Industry Foundation (EIF), is proud to announce the Hollywood community is once again joining forces to support the fifth biennial televised fundraising special on Friday, Sept. 9 (8:00 – 9:00 PM ET/PT / 7:00 PM CT). 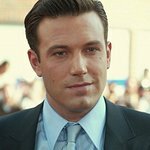 Ben Affleck, Matthew McConaughey, Emma Stone, Anna Kendrick, Josh Gad, Niecy Nash, Eric Stonestreet, Alison Sweeney, Ken Jeong, Marcia Cross, Greg Grunberg, Danielle Campbell, Charlie Wilson, Brittany Daniel and SU2C Co-Founder Katie Couric will all appear in the inspiring broadcast. In addition, celebrated recording artists, Celine Dion and Keith Urban with Little Big Town will perform moving tributes in honor of all those standing up to cancer. Additional stars and performers will be announced in the coming weeks. Academy Award-nominated actor and founder of the Bradley Charles Cooper Foundation, Bradley Cooper, will executive produce the broadcast event and appear in it. Cooper will work alongside award-winning production team Done + Dusted, in collaboration with the Stand Up To Cancer production team. As SU2C’s founding donor, Major League Baseball has provided both financial support and countless opportunities to build the Stand Up To Cancer grassroots movement by encouraging fans worldwide to get involved. 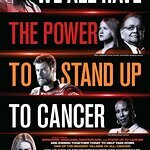 In addition to MLB, SU2C’s “Visionary” donors include Bristol-Myers Squibb; Cancer Treatment Centers of America; Genentech, a member of the Roche Group; Mastercard; and The Sidney Kimmel Foundation. Major donors and collaborators include American Airlines, American Cancer Society, CVS Health, Fifth Third Bank, The Lustgarten Foundation for Pancreatic Cancer Research, Merck, and Rally Health. Other key supporters and collaborators include Cancer Research Institute, Cancer Research UK, Dutch Cancer Society, Farrah Fawcett Foundation, Lilly Oncology, The Laura Ziskin Family Trust, Melanoma Research Alliance, National Ovarian Cancer Coalition, Ovarian Cancer Research Fund Alliance, The Parker Foundation, Prostate Cancer Foundation, St. Baldrick’s Foundation and Van Andel Research Institute.